Anthony Sandler, M.D, is trying to understand how cancer cells can change their behavior and activate the immune system – enlisting the patients’ own defenses to fight the tumor. 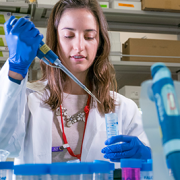 Building on their groundbreaking research that found a method to cure neuroblastoma tumors in mice, researchers at Children’s National have been working in recent months on a personalized tumor-specific vaccine approach for neuroblastoma and other solid tumors. The possibility that such a vaccine could non-invasively cure one of the most common childhood cancers is part of Children’s innovative efforts to address some of the most critical medical research challenges facing the field. 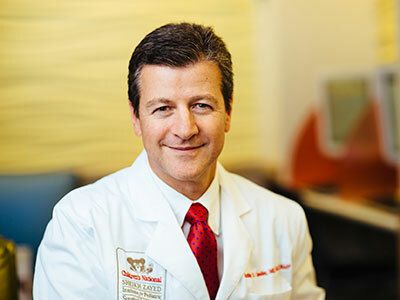 Anthony Sandler, M.D., Senior Vice President, the Joseph E. Robert, Jr. Center for Surgical Care, and the Diane and Norman Bernstein Professor in Pediatric Surgery, is leading the research that followed an initial publication in PLOS ONE. Sandler’s team seeks to understand how cancer cells can change their behavior and activate the immune system – enlisting the patients’ own defenses to fight the tumor. Their research is particularly significant because neuroblastoma, most commonly centered in the adrenal glands, is the third most common tumor in childhood, and the most common cancer in babies younger than one year old. It accounts for six percent of all childhood cancers in the United States, with about 700 children younger than 15 diagnosed each year. “Historically, tumor vaccines held much promise, but demonstrated little clinical success,” Dr. Sandler and his team wrote in their study. “Thus, the task of establishing an effective anti-tumor response in neuroblastoma has been daunting.” However, with this most recent study finding, Dr. Sandler says this failed promise is changing. The study revealed that “knockdown’” of a DNA-protein inhibitor, known as ID-2, in aggressive high-risk solid tumors resulted in activation of T-cells, which are white blood cells that have figured significantly in immunity research. Gene knockdown refers to a technique in which the expression of one or more of a cell’s genes is reduced. The research also focused on using “checkpoint blockade,” a therapy in clinical use that allows for expansion of the immune response against tumors. “The combination of selective gene knock-down in tumor cells and checkpoint blockade produced a novel, potent T-cell triggered tumor vaccine strategy,” Dr. Sandler says. 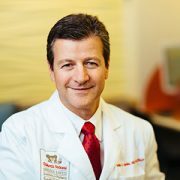 The researchers also noted that a “massive influx” of T-cells infiltrated the shrinking tumor, indicating that T-cells are necessary for antitumor immunity in this vaccination protocol. 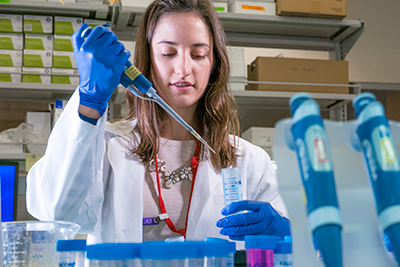 The ultimate goal for Sandler’s team is to work toward potential clinical trials to make further progress in neuroblastoma research, with immunotherapy playing a key role. 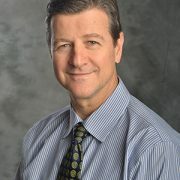 Dr. Sandler is the Principal Investigator of the Immunology initiative of the Sheikh Zayed Institute for Pediatric Surgical Innovation, and has worked in immunology research related to childhood cancers for more than 20 years.